Super Savings Item! 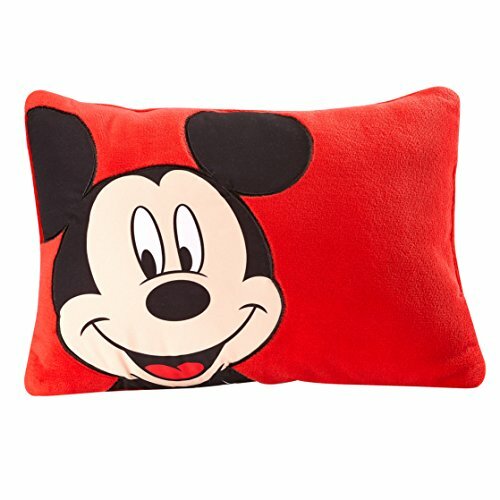 Save 35% on the Disney Mickey Decorative Pillow, Red by Disney at Wow In The Details. MPN: 5135713. Hurry! Limited time offer. Offer valid only while supplies last. Mickey Toddler Pillow is a great addition to your toddler's bed. The decorative pillow has a printed applique of Mickey Mouse on a bright red pillow. Mickey Toddler Pillow is a great addition to your toddler's bed. The decorative pillow has a printed applique of Mickey Mouse on a bright red pillow. Measures 12" by 16" and is made of 100% polyester solid coral fleece.